I'm doing a post about gift wrapping and would LOVE to include your photo and link over to your post – would that be okay? I am so sorry I did not see your comment earlier! Would you please let me know if you are happy for me to do so and also if it is ok for me to use one of the images? Hi, I´m latin. It is a wonderful, creative and beautiful idea. I´m impressed. I love cooking and make crafts. I invite you to visit my blog ceciliaencasa.blogspot.com. These are gorgeous! Did you take the actual pin off the brooch and glue the brooch down or pin the brooch to the ribbon? 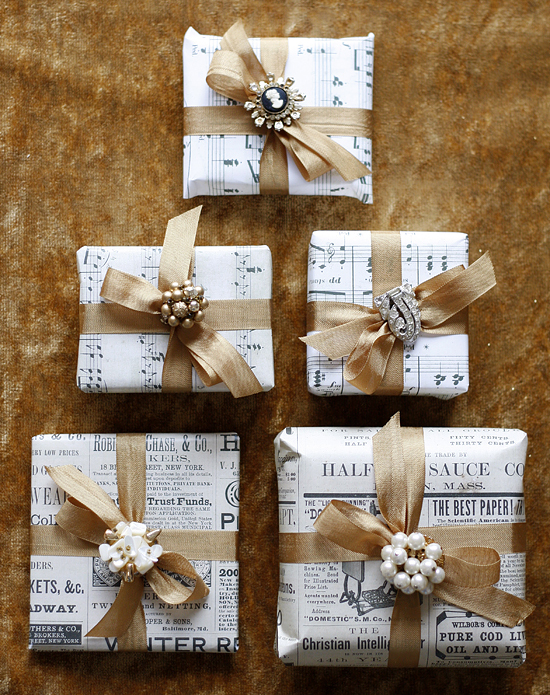 Because of that you gave me an idea on how to be creative in wrapping my little gifts during holiday season. 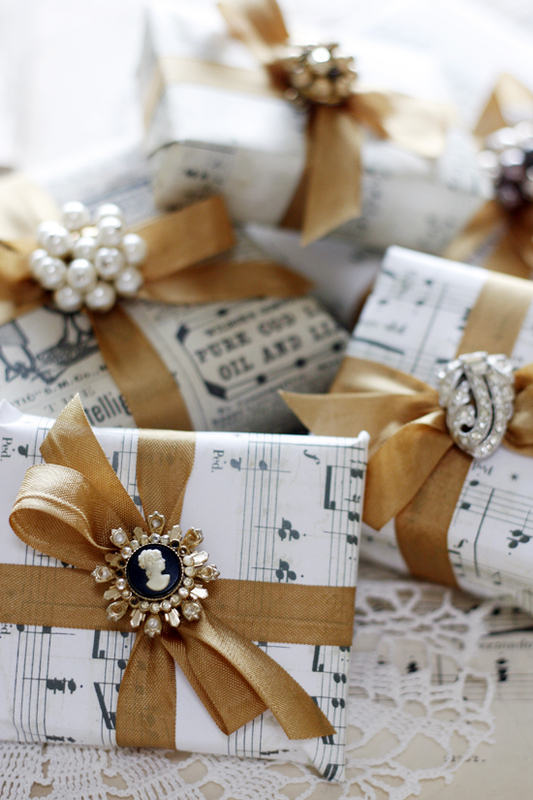 By putting Bulk rhinestones on gifts symbolizes that you are giving it to a very special person. Thanks for that and continue to share your genius work of art.